WASHINGTON, DC – Using data gleaned from state corporation formation agencies, a new report shows the scant amount of information required to establish an anonymous shell company in the United States. Indeed, by comparing incorporation requirements to those mandated by libraries, the study demonstrates that more personal information is needed to obtain a library card than to establish a legal entity that can be used to facilitate tax evasion, money laundering, fraud and corruption. The report, titled “The Library Card Project: The Ease of Forming Anonymous Companies in the United States,” will be released at 9:00 AM on Friday, March 22 during a launch event at the Open Gov Hub at 1110 Vermont Ave NW #500, Washington, DC. The event is co-sponsored by Global Financial Integrity, the FACT Coalition, Transparency International, and the ACAMS US Capital Chapter. 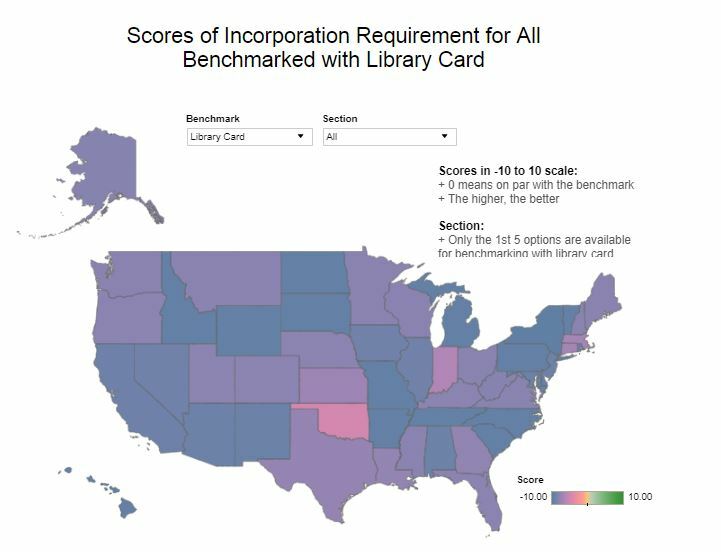 The report provides an in-depth, data-heavy analysis of the requirements for company formation across the 50 states and, by comparing that process to that of a library card application, demonstrates that asking for basic personal information is not technologically difficult, costly, or time intensive. In many cases in the U.S. and around the world, the anonymity of U.S. company ownership makes it incredibly difficult for law enforcement and tax authorities to follow the money, to find the people behind these anonymous companies, and to expose and prosecute the criminals and criminal networks responsible for these corrosive and heinous activities. 23 states and the District of Columbia do not require a company’s address to be provided. Only five states require any information about a company’s officers either upon incorporation or within the first 90 days after incorporation. The OECD nearly two decades ago identified that nearly every economic crime involved the misuse of anonymous companies and the World Bank, in a 2012 report reviewing grand corruption cases over three decades, found that 70% of all cases relied on anonymous companies to help carry out and hide gains from corruption. The United States registers 10 times as many legal entities than 41 tax havens combined and has been identified in several studies as one of the easiest jurisdictions in which to open an anonymous company. In a 2018 study, the US was ranked second amongst tax havens while Panama was ranked 12th. Delaware, the epicenter of company formation in the U.S., has more companies than people. Click here to access GFI’s new report.